Tools to sell your Courses! You are now able to upload your SCORM courses or develop using the eTrainCenter Authoring Tools and sell your courses online. We will provide you will with the tools to sell courses and collect funds. This is a turnkey solution to turning your training into a profit center. 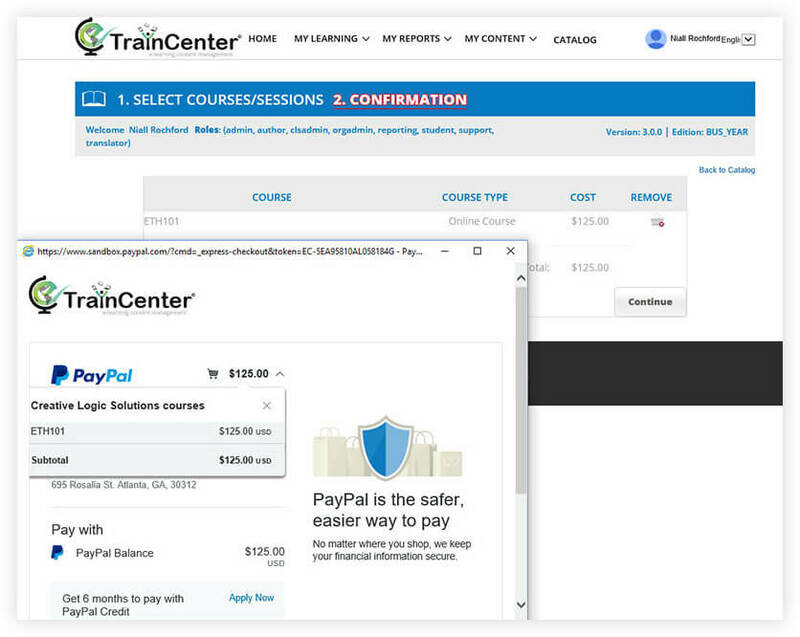 eTrainCenter links to your PayPal account for immediate funds transfer. Set the sales price of our course. Allow course to be sold online.